I PREVIOUSLY compared Lightroom to a bunch of editing programs and found that LR wasn’t that bad (at base settings) and I wasn’t very impressed with Capture One. However since the above claims made it seem so good, I thought I’d give Capture One another try. So armed with my new presets and some knowledge of Capture One Processing, I set out to see if Capture One would be worth buying. Funny story, I went to download Capture One 9.6 and immediately the website went into maintenance mode. 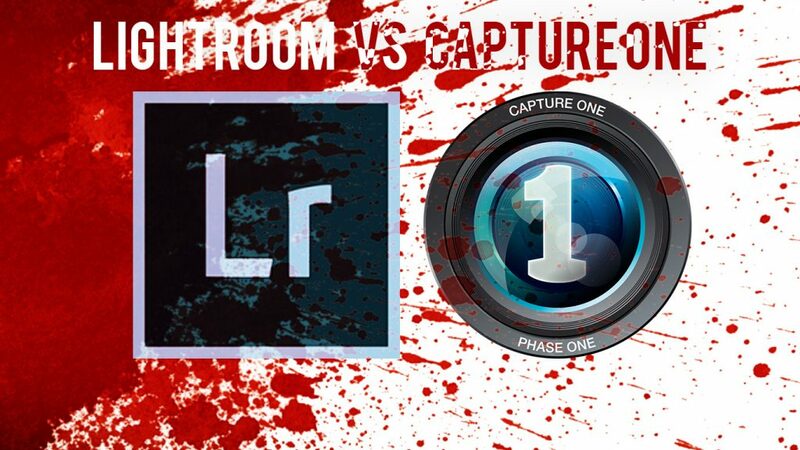 When it came back Capture One 10 was out. Settings were left as standard apart from for the sharpening test. I just added profiles and compared them to in-camera processed Jpegs with different film presets applied. 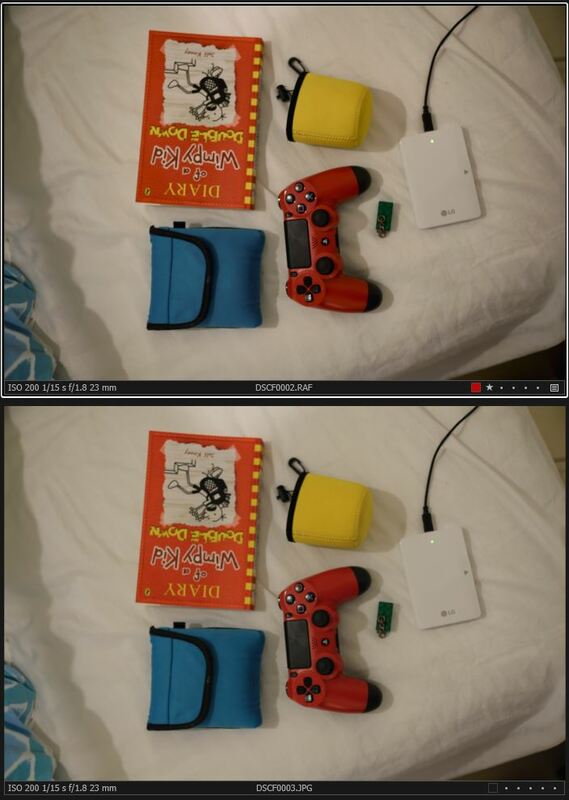 The camera was set to factory default for sharpening, NR etc. Right click (or whatever you do on your device) and open in new tab to see larger size. Therefore I have redone the test and (where appropriate) redone my conclusions based on these newer profiles. Honestly this isn’t a terrible base profile. It looks a bit like Provia. It’s not too bad of an effort on Capture One’s behalf. This new profile looks more off than the generic profile, the reds and oranges aren’t quite right but the yellows and blues are fine. I find the Adobe Provia profile to be the least accurate of all of them (the Lightroom profiles). It’s actually quite good, just like the Generic profile from Capture one, but again the red comes out slightly orange. They all did a good job here, I think Lightroom/C1 Provia Profile both do an almost perfect job except for the slight colour difference in reds. In most normal every day shots the differences would be minimal. Feels a bit like they pushed saturation slightly too hard here. This profile has better colours than the old profile I had up, the seemingly darker/more contrasty look is pretty easy to overcome. I had other than there’s no more blotchy weirdness (so I’ve deleted that part of the article). Overall there seems to be a bit more saturation and contrast in the RAW profile. It’s OK overall. Very close. I think the reds on the LR file are slightly off (they’re slightly too orange), but overall the look is slightly more close to the jpeg. (I couldn’t decide what’s more important, slightly off reds (LR) or overall too much contrast. Both are fixable if you feel like it fixing them, however contrast/exposure is slightly easier to fix than the slightly too orange reds of the LR file, so I gave the win to Capture One). Very well matched now, there’s some slight difference in the saturation of some of the colours, but overall it’s close enough that you’re hard pressed to tell the difference. The orange on the book is slightly off as is the aqua colour (lower left). 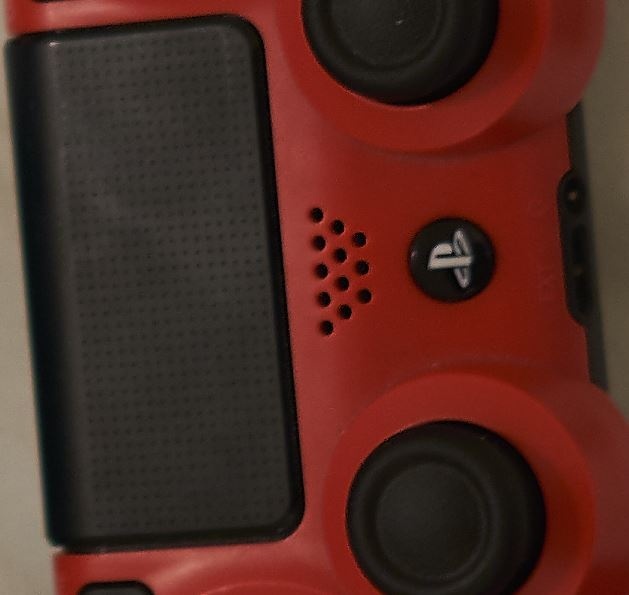 Also the reds are a bit dark. Previously I thought Lightroom did a better job here, but now I’m not too sure. The yellows are a bit too light as is the orange, the blues are pretty much perfect though and red red is only ever so slightly off. At first glance it’s very close. Overall things a a little too dark and the controller is the wrong tone. It’s so close it hardly matters though. I think LR does an excellent job here. You’d have to look really hard to see the differences here. 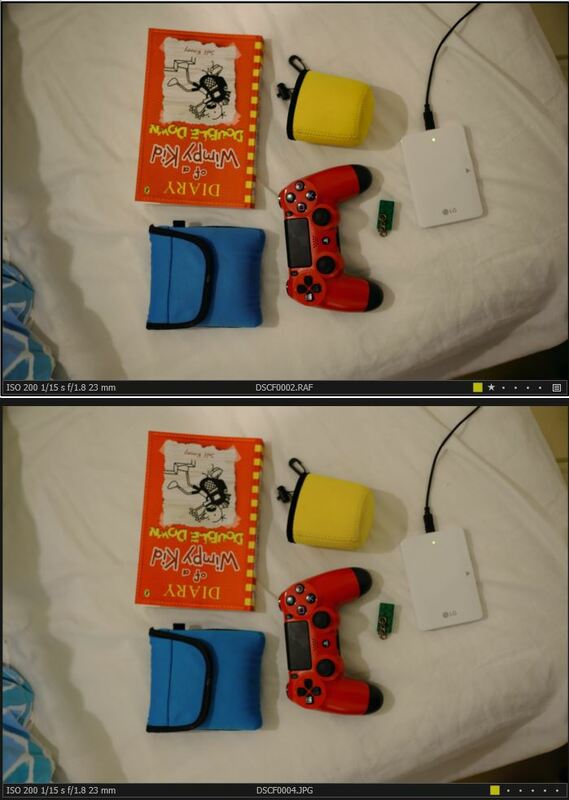 Perhaps the yellow pouch is a little too light… but overall I think Adobe win this one. Only by a little bit, in fact I previously thought Lightroom won, it wasn’t until Capture one’s new velvia profile (much better than the old one I had) that C1 could slip in past LR. But don’t take my word for it, what do YOU guys think? This was a close one, very close, it was slightly off reds on the Adobe side of things that pushed it in favour of Capture One. So, for colour matching the BOTH do a very good job. Certainly they’re close enough that when you compare them it doesn’t make much sense to shoot jpeg (apart from if you don’t know how to sharpen the files properly, because at default settings Fuji Jpegs look a lot better than what Adobe gives you). One issue however. Lightroom will give you these profiles out of the box. They’re built into the program. With capture one you have to install custom profiles in a semi-convoluted process that may have you scratching your head for a while. So the choice is yours. C1 has great colour profiles IF you download and install custom ones. Lightroom is very close and can do it all out of the box. Which do you prefer? Maybe these aren’t the best overall, but I tried hard to get it to look as good as possible without artifacts coming in. Good settings for man made things, which is why I chose this, but I have alternative default settings now. Note: No contrast/clarity/dehaze was added, I only adjusted sharpening/NR to get the best results I could from both programs. In this version I did recommended Capture One settings and my more generic/safe Lightroom sharpening. 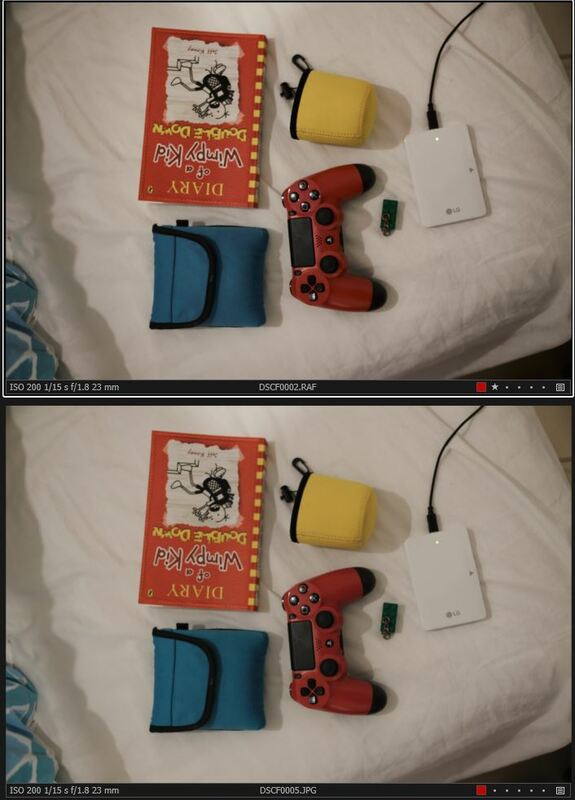 Lightroom on the Left, Capture One on the Right. For this part I’m going to let you guy decide which is better. I have my opinion, but that’s just me. For your convenience here’s the settings I used on LR and on C1 (for the first one where I tried my best to make THIS image as good as possible for both). Why is my details set at zero? I HAVE TO POINT OUT… this method can easily introduce a paint like effect, especially in foilage (grass/trees etc.) it’ especially bad if you photograph slightly out of focus grass ha ha. So it’s only really any good for man made and some other situations, it really depends. There’s you’ll see where I’ve explained how I have TWO different sharpening systems now depending on WHAT I’m sharpening. I suggest you try both of my settings and then fiddle with them to choose one you like for yourself. One things for sure. The “Detail” module in LR is one of the most annoying to work with. General use, landscape and no nonsense setting. Man Made setting that can pull out a lot of detail at the expense of a possible paint effect and sometimes worse bokeh. Details slider on Capture One? I did, however, give you guys an alternative above, using some recommended settings with increased details slider. Personally I think (for this image at least) my settings gave a better image. But I have both for you to choose from now. Actually Capture One is a nice program and does quite well. I found the user interface a bit confusing, but that’s because I’m not used to it. I’m sure people using Lightroom for the first time will feel confused too. Both do great with colour but Lightroom takes a lot less much messing about (the profiles are built into Lightroom). The new Capture One profiles are actually really good and overall JUST beat Lightroom now. Of course this comes at the expense of convenience, but I suppose once it’s set up in C1 it isn’t too hard to sort out. For colour I’d not worry which one you chose, just make sure you get some decent ICC profiles if you choose C1. For sharpness/details… I personally can get more out of Lightroom each time, even (I think) with my more safe settings. HOWEVER, Capture One gets good details easier and without much experimenting overall, though in my opinion Lightroom does a better job with sharpening and details IF you happen to stumble across some good setting (which I believe I have after a lot of messing about). My next test/blog post will compare how well they deal with foliage/leaves/grass and whatnot. Something Lightroom has traditionally struggled with. Also, I think an experience C1 user will be able to squeeze as many details out of C1 as I can out of LR, I just couldn’t do it despite following advice from multiple sources. There’s a problem with C1 though, a major issue which is the main reason I can’t use Capture One, that’s because I have shot most of my shots with Xpro2/XT2 using compressed RAW. Compressed RAW on Fuji isn’t lossy, so you’re not losing a lick of quality using it. However, since Capture One hasn’t worked out how to unpack them yet, it’s a bit of a non-starter for many people. So which one is better? Well that depends. I think LR is easier to use overall, but perhaps isn’t as powerful. 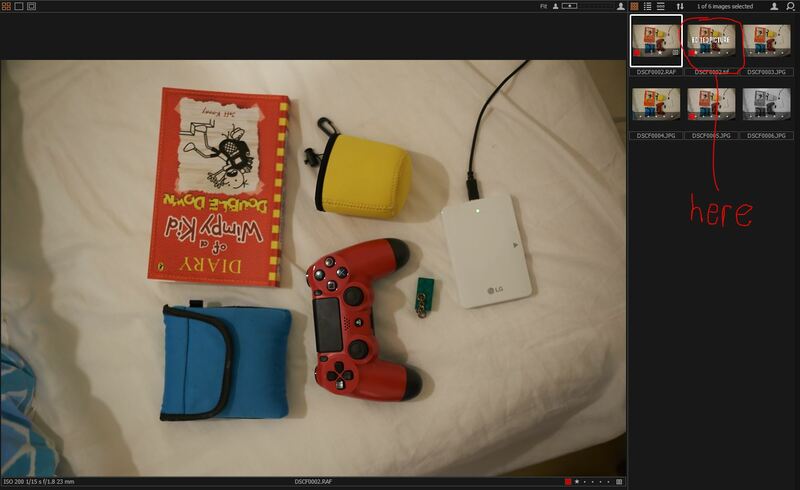 Capture One certainly has a lot of things you can use to tweak an image, so if you like playing about with your image a lot, perhaps C1 is best for you. Lightroom is the better image organiser, however there’s no real reason you couldn’t use C1 for that purpose. So I’d say try both out for yourself. They’re BOTH excellent and if you find one you prefer, then use it and be happy. Edited to show all options. In reality the box is smaller and it scrolls. Lightroom can do this too (organised my different categories, colour tags and star ratings) however it also has the flagging option which can make quick selections easier (just hit P to flag a file, X to reject the file). 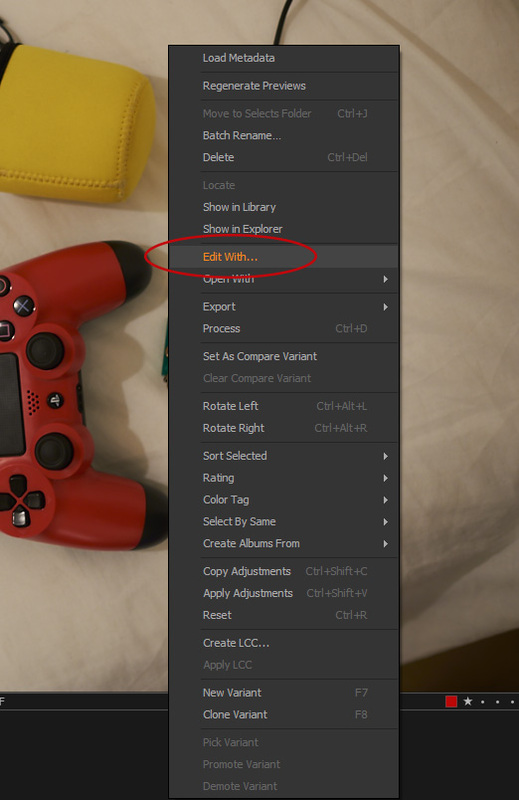 If there’s such an option for Capture one it’s not obvious how to do it, my quick research online told me Capture One doesn’t have a flagging option. If I’m wrong, please can a reader let me know. That then brings up this dialogue box where you can choose the file type, program you want to open it with etc. You then edit as usual, save the file and in Capture One it saves the edited file next to the original. So the file system and external export system is similar to Lightroom. No flag system though, but that maybe OK depending on the user. a bloody showdown! sharpening seems to be the thing for Lr. 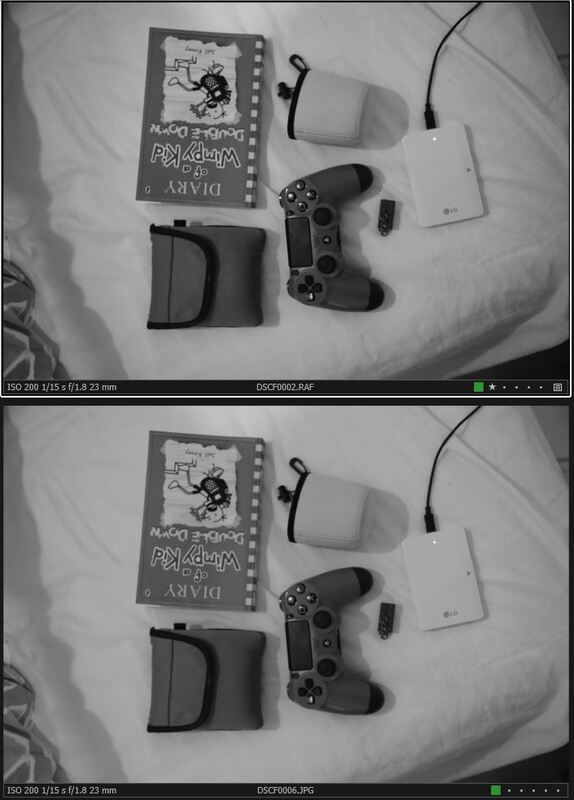 Lightroom on the Left, Capture One on the Right. :o) funny! yes the lightroom looks a bit orange. if only i could extract silkypix profiles and lens correction / ca correction where its all automatic and get them work in rawtherapee or just knew the mechanism of how to apply it in any environment, heheh..
incase of high contrast sun lit objects, is the ca correction automatic in C1 / Lr or do you need to spend time to tinker with it by hand? I really don’t like silky pix. I’ve found overall LR is super good at matching colours. Most of the time the differences are almost non-existent. Anybody quoting the Dude must like, know what…like, yeah man….its all cool…. Thanks dude.. Like great avatar dude. Yeh in this test it seems it is. However I’m sure someone who’s an expert in C1 can do better than I did. My Lightroom output images (jpg), every time are a lot better then the straight camera jpg (X-E1), and in a easy way. Adrian, I have a suggestion about settings in C1. Leave all the same, but change ‘Detail’ slider in NR panel to 100%. You ‘ll be surprised by the difference in sharpness. I think, that ‘something’ was something else than my suggestion. So, that’s what I tried, I also played with the details slider etc. And found little to no difference in what I could get out of the image. I will try one more time. But I doubt it’ll make a difference. The problem with these comparisons is that despite the best intentions they end up being misleading most of the time. I guess the reason is that modern raw processors are rather complex tools with C1 being the most complex by a good margin. Not only that, they work very differently so even if you know one, it takes a lot of time and effort to master another. The point is that unless there were some dramatic changes lately, the ability of C1 to retrieve spatial and color details from X-Trans files is superior to LR. The fine print: a) I don’t have the 24MP sensor so these settings are for 16MP X-Trans b) I don’t have C1 10 so I am not sure how these setting will work with the new sharpening engine. I am not saying that these are _the_ settings; it’s very subjective and depends on situation. In good light you can easily drop luminance NR to zero and for portraits you will more than likely want sharpening reduced… These are just settings that I found to be a good starting point. Others may have different tastes. And don’t forget about the Clarity and Structure tool, it can produce some seriously good results. Is C1 flawless when it comes to X-Trans processing? No. There are still opportunities for improvement. But if you combine what it can deliver with its features, it is a very good package. This is not to say that LR or other raw converters are bad, they are all very good actually, and the best one is the one that you know how to use best. Yeh all valid points. I tried your settings against my standard lightroom settings (not the most ideal for the above image, but good for overall stuff) and they were quite similar. I thin you could pull out more details in C1 if you had time to play with all those settings. C1 is definately the more complex (does that mean powerful? Perhaps) of the two. A few more considerations. This is hardly an ideal test shot to evaluate sharpening, it does not seem to be sharp on its own to begin with (out of focus or something). Sharpening can help to overcome this to a certain degree (there are even built-in presets in C1 for that) but it is not what it is primarily for. Also the scene itself is not particularly good for the sharpening test. You would want various textures and combinations of colors to do the proper evaluation. The DP Review scene is made this way for a good reason. 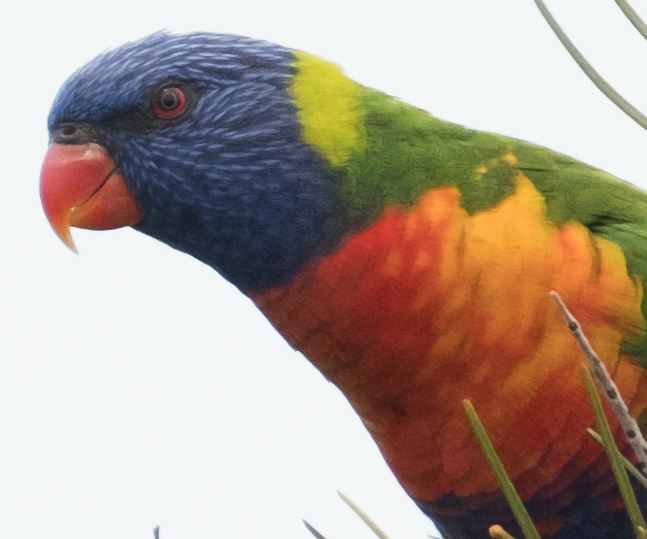 An algorithm can do a good job in one situation but make a total mess of things in another. Anyway… It’s all about enjoying photography. It’s no surprise that there are artefacts. First, When Detail is set to 100 sharpening settings should be different. Second, even your original settings are far from optimal. I’ve applied them to studio scene from Dpreview site, and the result looks terrible to me – no textures and huge halos around edges. To much edge sharpening. Of course, all this is very subjective. The best way to find is to try it personally on some real photos. My original intention was to inform people about this parameter specifics. Most users just do not know about its direct influence on a picture sharpness. One more important thing – it works this way only with X-Trans files. Yeh I tried adjusting other settings and all the details slider did was introduce artifacts. If may well not look good on the DPreview studio scene because I was just trying to sharpen MY image the best I can. I really wanted to make the C1 image look the best I could to be fair to C1. Fact is I just can’t get as much detail out of it as I can with Lightroom. 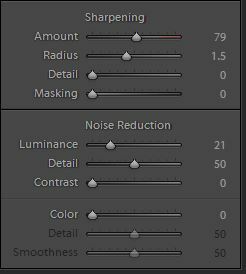 Give me what you’d consider the best sharpening settings and I’ll put them up. 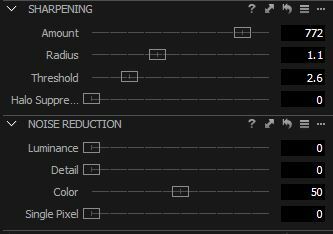 From my research and experience.. Lightroom sharpening settings need to be different than most other cameras. ‘Amount’ should be set much lower (I use 10), and ‘detail’ should be set much higher (I use 80.. many recommend 100). Yeh maybe with the older cameras. But I found with the new sensor the details slider is a major source of “worm” artifacts and is better left at zero. Hmm, I get different results… and with the xPro2. I have another somewhat disturbing issue right now though, maybe some folks could weigh in on it ? Back lit images, looks like there is a ‘brick’ pattern on everything (I am thinking it’s the X-trans photo sites somehow showing up).. I have had this happen before with the Fuji’s, always back lit.. disturbing because I shoot back lit alot and no other camera has caused this issue.. full rez image crop attached. I think that’s a result of your details slider being at 80 to be honest. Try putting it at zero and pushing sharpening higher. See if it removes it. I’d be interested to know know if it helps. Hey !! Actually no difference (other than how sharp the pattern is).. I’ll post with the different sharpening settings. X trans sharpening is, as you mention in your recent post, a work in progress . This other issue with the brick/grid pattern I really want to get to the bottom of. I wonder if it would actually be better if processed in a different processor. That would be VERY interesting to find out. Is it Adobe screwing up or is it just something to do with light hitting the sensor on an angle or something. Quick question, did you use the hood? I think I read somewhere that this sort of pattern on images may be the result of a kind of flare… not sure if I remember right though. Just wondering about the hood. I always use hoods (and the 90mm hood is quite substantial). Combination of back light sensor issue & Lightroom which probably makes it worse.. I am going to have to give C1 a try to see if it does better. I am certainly happier with how it appears on the camera processed jpeg. 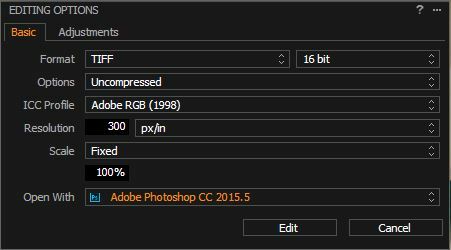 I wonder what happens if you push the exposure of the jpeg to match the raw. Try C1, maybe better. I’d be interested to know. 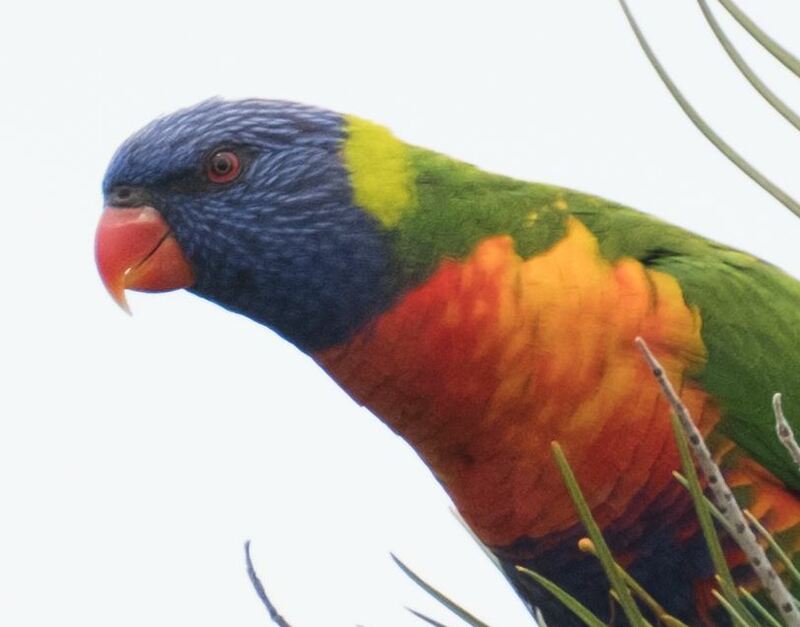 Here’s 100% crop where (the left one) has the details slider is at 80 and the sharpening amount is 10 (what you said) and then the details put down to zero and sharpening amount around 60 (right). IMHO the one on the right (details at zero) has slightly more detail/sharpness and has the bonus of not introducing worm artifacts. You know what, i was playing about and I think you’re right. I changed my settings to A20, Radius 1.5 and Details 80 and it gave me excellent results. Especially in LANDSCAPES. My Details at Zero works well for some things but with landscapes it gives foliage a painting effect. 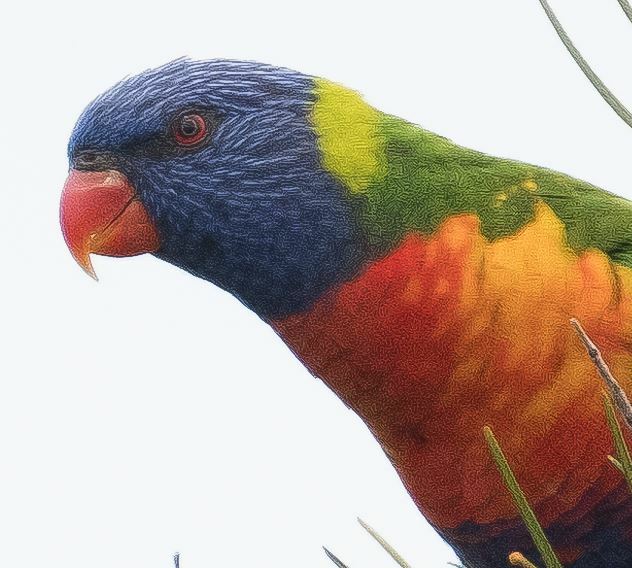 So, yet again, I change my mind on sharpening in LR. One day I’ll perfect it LOL. However, it seems for man made things like the playstation controller I used in my tests. The details slider isn’t the way to go and turning it to zero is much better. So I’d put on the details slider for things like grass/trees and turn it off for manmade stuff. Hi Adrian, just one little observation: there is an updated set of ICC profiles for C1 (which also has ACROS, and also specific XPro2 profiles). I played with the old ones a few days ago, and noticed some strange shades in some shadows too. But then I found the new ones, and together with C1 v10, they looked better than the original ones. (oh, and.. I’m thinking about switching to C1 mostly because of the color adjustment controls. But since I’m just an amateur, I’m not convinced I need so much control yet 🙂 ). Cool I’ll check that out. I have been experimenting with sharpening settings in LR for quite a while now and appreciate your contribution to the discussion. In general, however, I find using an amount setting higher than the mid 30’s produces an unnatural digital look. Using very high detail settings, even close to 100, as many advocate, produces splotchy, blobby artifacts in foilage, tree bark, brick work or human skin. Also, using a luminance noise reduction higher than the mid teens will lose too much detail and create and overly smooth look. It’s much easier to obtain good results with sharpening non-x trans files for landscapes and city scenes. The search for good settings for Fuji files for those types of shots continues for me. I’m relatively happy with what I can get for people oriented shots, though, where I get good results using settings similar to those for Nikon files. Yeh it’s a challenge for sure.